Red carpet and camera flashes are the last thing I was expecting to experience in Indonesia, being that the newly discovered luxury that I’ve been enjoying lately is boiling water for my bucket baths to avoid dumping cold water on my head as I have for the majority of the past year and a half. 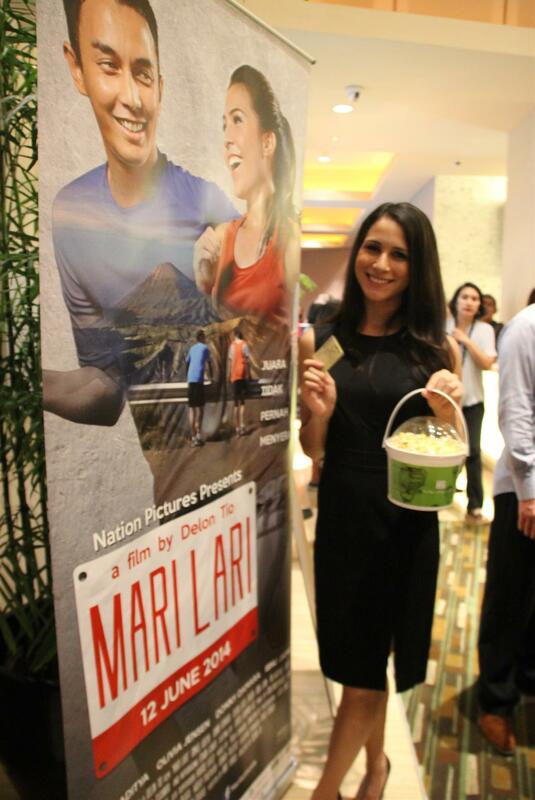 So I was over-the-moon surprised when I got the news that the Bromo Marathon Team including myself had been invited to the grand premiere of the movie Mari Lari in Jakarta. I packed my bags as quickly as a fleeing fugitive because a weekend in the city means indulging in much missed western conveniences like a variety of foods, hot hotel room showers, and on top of it all, watching a movie centered around one of the most influential events of my time in Indonesia. The evening kicked off in a cinema at one of the many amazingly luxe shopping malls in Jakarta. The open air mall was transformed into a gathering place filled with Styrofoam signs covered in flowers congratulating the directors on their success. An MC narrated the night by announcing the arrivals of all the VIPs including the the directors, the starring actors, and the band responsible for the very enthusiastic pop theme song for the movie. 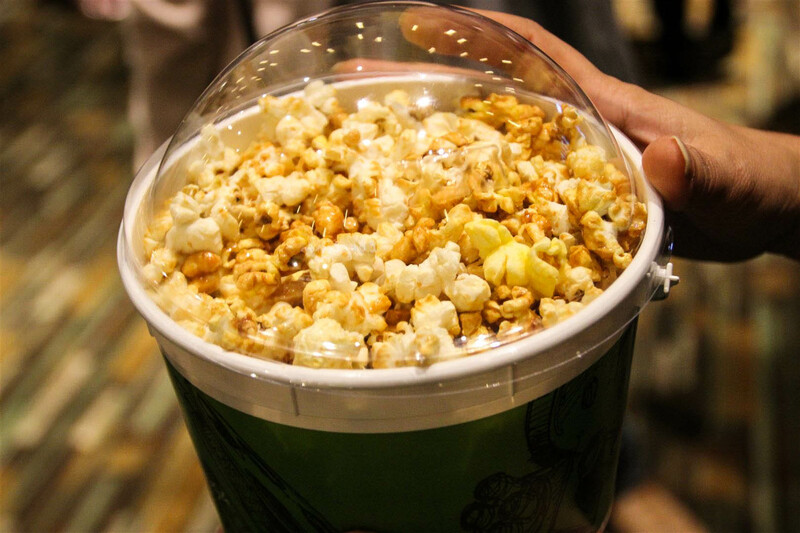 A few thousand camera flashes later, the horde of people who had taken part in the movie’s creation filed into the theater to witness the culmination of their work. We took our seats and waited for the lights to dim, the screen to illuminate, and be transported back to the day of the Bromo Marathon. The film followed a young man, seemingly down on his luck: a part time car salesman and part time university student with a full time lack of success in both. His world is shaken when his mother falls ill and passes away unexpectedly. After her death he moves back home with his father who is a former athlete and has always been a distant critic of his son’s life. 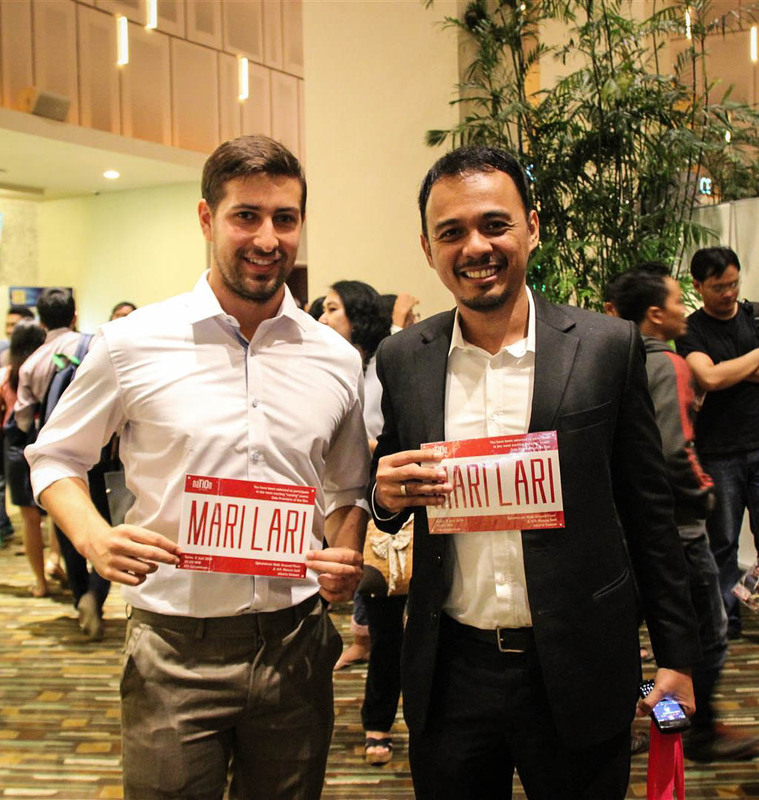 When his parents race bibs for the Bromo Marathon come in the mail, Rio is compelled to take his mother’s number and complete a marathon in her honor. The event day featured footage from the real thing and I was suddenly reliving that day from early morning preparation to cheering on runners at my aid station. I spotted some familiar faces on the big screen as well as get my own break-out five seconds of fame as I handed water to the main actor. The ending was dramatic, heartwarming, and inspirational. While I watched the story, laughing with the protagonist and tearing up at his pain, even though it was fiction, I felt the reality that every runner at the marathon that day had a story of how they ended up at that starting line. Every race runner runs for a reason, struggles, and meets success, going through a spectrum of emotions in the process.